Waste management is a well-established industry that has become more publicly visible in recent years due to its implications for the environment. The direct service segment of the non-hazardous waste industry has not changed much over time but like the cases of the former neighborhood grocery and drug stores, the industry has changed as larger regional and national companies have bought out the small, local players. The regional providers are gradually absorbing the local “mom and pop” providers and the direct services they provide are increasingly being rendered through clearinghouse or dispatch centers with minimum contact and interaction with the customer. The Country Enterprises companies are owned and managed by Anthony Pearce and Michael Couden. 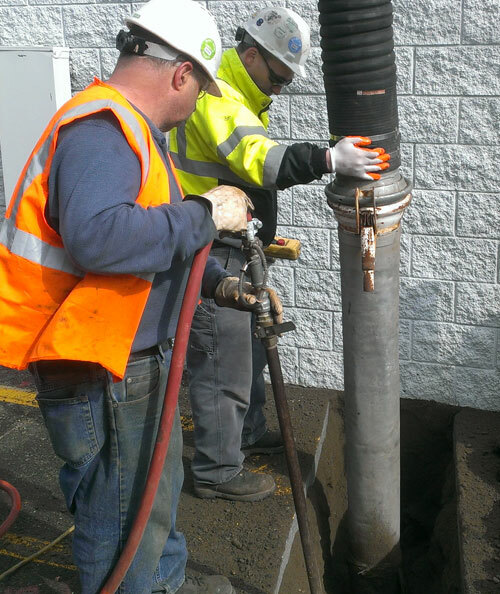 Together they have over thirty years combined practical experience in the operation of sanitation, waste transportation, and environmental contract services in Connecticut. Their commitment and service philosophy aims to provide the best possible service to meet the customer’s needs at an affordable price. Using both generic and specialized vehicles and equipment, the combined services of the four companies provide four distinct but complementary waste management services for customers. Country Septic Service, LLC provides septic system and grease trap pump outs and related disposals. The customer base consists of residential, commercial and municipal clients typically serviced on a periodic schedule. The company is also permitted by the Connecticut Department of Environmental Protection to transport Connecticut regulated wastes which expands the services it can provide commercial and industrial customers. Advance Tech Sewer & Drain Cleaning, LLC offers sewer and drain jetting and cleaning services as well as video inspection services. It serves a wide range of commercial, residential and municipal customers with scheduled and emergency. Country Disposal Services, LLC performs waste management disposal brokerage services. These consist of arrangements for the delivery of waste containers to customer sites and the disposal of the container contents when needed and cost-effective arrangements for the direct disposal of construction debris by contractors. The mission of the companies is to provide its customers high quality, cost-effective waste management services in a timely manner. The companies offer the added convenience of being able to respond to a range of customer waste management needs on a scheduled or emergency basis.